I saw a picture of a Christmas tree overloaded with piles of presents underneath of it while we were praying together last week. God spoke to me that the presents were the multitude of testimonies He has given us this year. My heart welled up with gratitude and joy at the thought of all He has given us in 2010. Picture everything He has done in our lives this year all wrapped up under a tree. He is such a lavish Father, spoiling us silly with spiritual and physical blessings beyond our expectations. 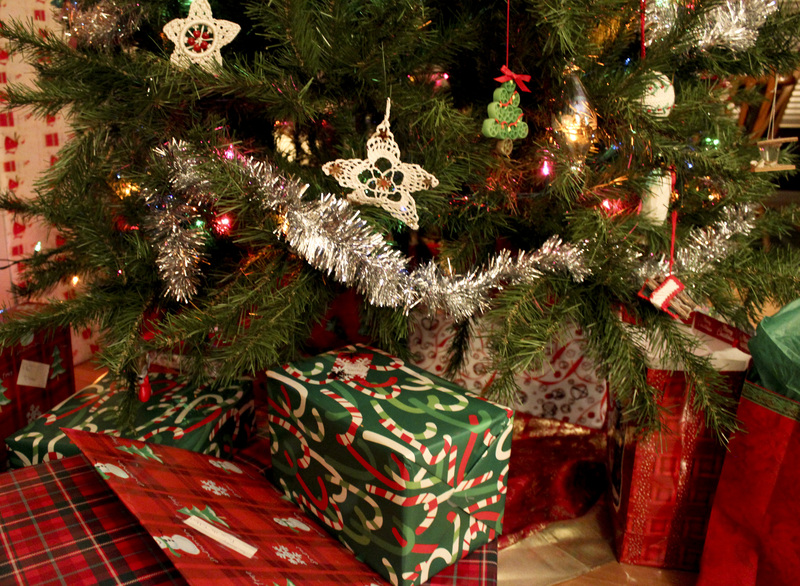 What gifts would be under your tree this year if God were to wrap up everything He’s given you? Write as many one line comments (or longer if you want!) below as you can think of to glorify God for all He has done in 2010.
they tell of your mighty acts. and I will proclaim your great deeds. and joyfully sing of your righteousness. Amelia Jubilee, Nasya Eve, Finnian Christian, Eva Grace, Joanna Rose, Silas Foster, and Sadie Love! God gives life! Praise Him!! new people added to the Church in the City family! The people who saw Jesus and understood God’s love for the first time during church services throughout the year. New and stronger relationships with other churches in Chicago through prayer, worship and serving the city together. I asked God that we would only have to look at 1 apartment and it would be the right one when we needed to move in May. Rachel told us about an apartment over a month before we needed to move. We went to see it right away and offered to sign a lease that day. Not only is the apartment the perfect size and beautiful, but the landlords are amazing new friends. Amelia Jubilee, provision and promotion through a new job, growing faith and clarified vision, new dreams, partnership in new parenthood with amazing friends, experiencing CHURCH happening…so cool what Jesus desires for us to experience in community with Him. What to say? I feel I could write a BOOK about what God has done in my own life since coming to Church in the City back in August 2009. At the beginning of the school year Steve had a prophetic word that involved my room-mates and I (Karen “Globig” Lyall and Brittney Williams). Basically he said that we would experience a new dependency on the Lord that year-learning to lean on Him in ways that we never had before and things that we had relied on in the past would be taken away, but God was going to use us to be history makers!! He shared it with the whole body because he felt that it was specific for us but also a word in general for CITC.